Talmudic scholar, who flourished in Italy at the beginning of the thirteenth century. 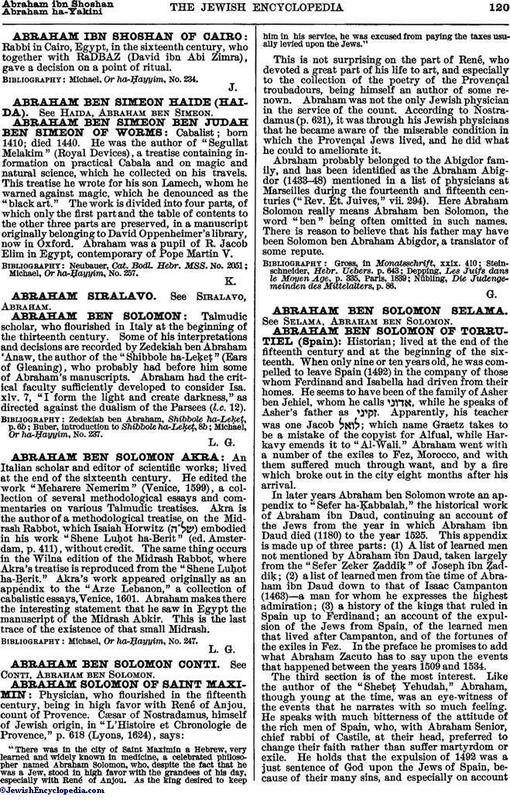 Some of his interpretations and decisions are recorded by Zedekiah ben Abraham 'Anaw, the author of the "Shibbole ha-Leḳeṭ" (Ears of Gleaning), who probably had before him some of Abraham's manuscripts. Abraham had the critical faculty sufficiently developed to consider Isa. xlv. 7, "I form the light and create darkness," as directed against the dualism of the Parsees (l.c. 12). Michael, Or ha-Ḥayyim, No. 237.